“It’s been a good week. Two tough games. 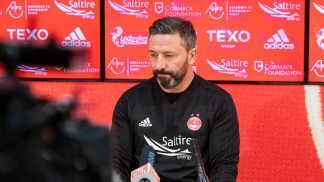 “We recognised the challenge of both games in Glasgow, both tough games but we also spoke about how it was brilliant games to be involved in and that we should relish the opportunity. 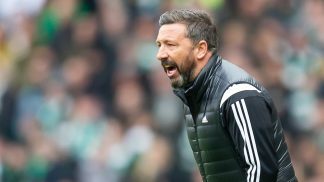 “I’ve been pleased with so much of what the players have given, first of all in the nil-nil at Celtic Park and then the other night with a clean sheet against a good Rangers team, who score at will, and ask questions of you. “It was a brilliant effort from everyone involved. The players really knocked their pan in and gave everything to get that desired result. The importance of getting the side into semi-final was clear. “So, delighted that we managed to come through two tough games with two clean sheets and plenty of positives. “We’ve not had out troubles to seek in terms of injuries and stuff but the determination and resilience of the team has been fantastic. “We look forward to the game tomorrow before a lot of the international boys go away and we’ve got plenty of players involved in that through the ages, whilst other boys will get a much needed rest as well. “It’s one big effort again needed tomorrow from everybody – supporters, players & staff alike. 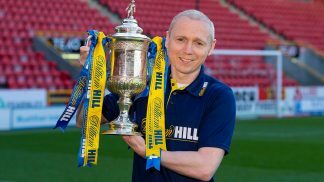 “A real focus is needed on Livingston because we had a tough match against them last time and it took a last minute winner to win the game. What was clear from that game was the crowd stayed with the team and the team delivered a winning performance and hopefully we get something similar tomorrow. 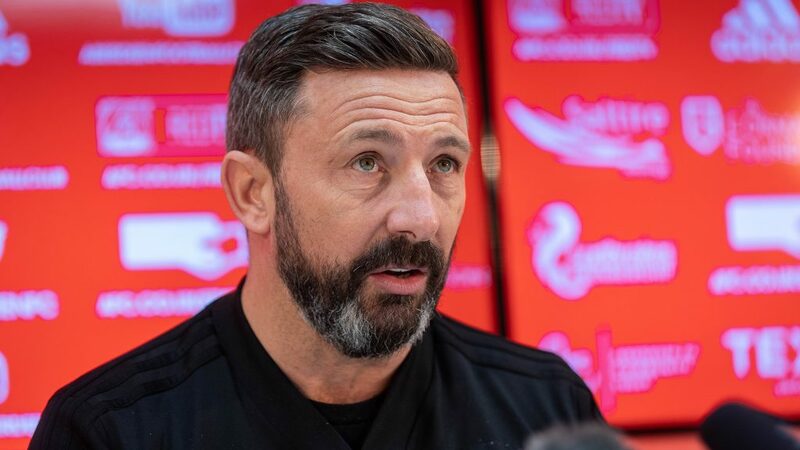 “I think I’ve said plenty of times before about when you are still in the Scottish Cup, you’ve still got that focus that it can help your league business. 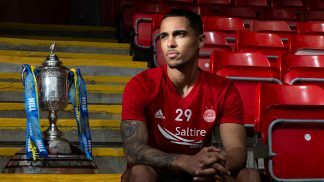 “I think it can keep those improvements in the performance, it can keep the players on their toes and playing at that level that’s needed to win games. 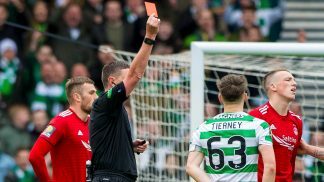 “We had to change the team after the Celtic game and I was pleased with Saturday. “I think I said after the game that if everyone had been fit – maybe Gary, Greg and Sam would have been my front three. It’s not to say that would have been the case but there’s certainly a strong argument for that. Greg wasn’t fit enough to start, Gary was out and Sam was suspended. We now have Sam back, Greg’s still struggling a wee bit and Gary’s still out for tomorrow. But I was delighted with everybody’s contribution over the last couple of games. “The players came in with a spring in their step to training yesterday and obviously pleased with our lot from the last couple of games. Chance to address the home form? “Yes absolutely. I can’t pretend it’s been what we wanted and how we normally have it here. I think what is clear when we’ve lost the first goal we’ve been chasing the game. The league game against Rangers, the game against St Mirren and the game against Hamilton. Normally we’ve got to be in charge of the game here and we’ve chased the game and ultimately left ourselves open. “We go and defend with real concentration on the road and that gives us the platform to go and win games and pick up points. “I’m just looking at trying to win the game and secure European football as soon as possible. There’s been times in my time here when we’ve quailed for Europe with plenty spare even before the split. “But I think this year we are going to have to work for it. “You would never give up trying to catch the team above you until it’s mathematically impossible. I don’t think you can ever be looking behind you – you’ve always got to be striving to get as many points as possible. We have a figure of points we want to try and attain and if we attain it then I’m pretty sure we’ll be playing in Europe next year and we’ll be there or thereabouts for that second spot. “I’ve not changed. The young players have got to be good enough to play. There’s a demand at Aberdeen and a demand on me to sure Aberdeen are competitive. And that’s what we’ve been over the last six years – getting the club into second spot, into Europe and cup finals. That wasn’t happening before. 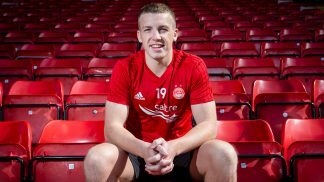 There were plenty youngsters playing before but were they good enough to sustain their place in a successful Aberdeen team? No. 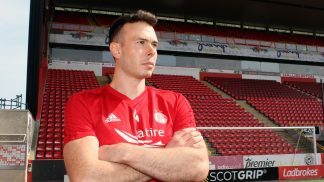 “I’ve watched Livingston’s last few games and I feel they have probably got back to the identity of where they were. 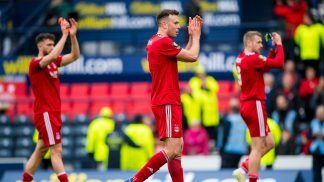 They were on a poor run for a while there but certainly having watched the game against St Johnstone from last Saturday, it just looked like the Livingston from the start of the season.